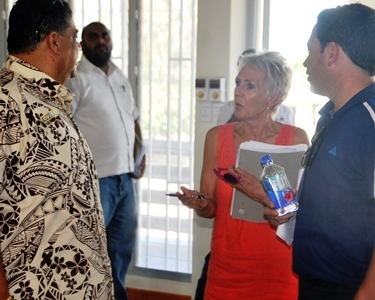 FIFA assistant development officer Lyn Shirley while handing over the properties said these were part of FIFA’s Win-Win project where Fiji FA can utilise their fatalities in terms of income generating. Fiji FA president, Rajesh Patel said the new gymnasium, worth over $300,000, is a major boost for the football academy and the soccer-mad town. “It will be used by the national team that will be here and at the same time we will have a physio based there on a full-time basis,” said Patel. “FIFA is insisting that all the federations should venture out into economic activities so that they are able to regulate enough revenue for operations. Fiji FA is still awaiting the gym equipment to arrive from New Zealand before the facility opens next month.